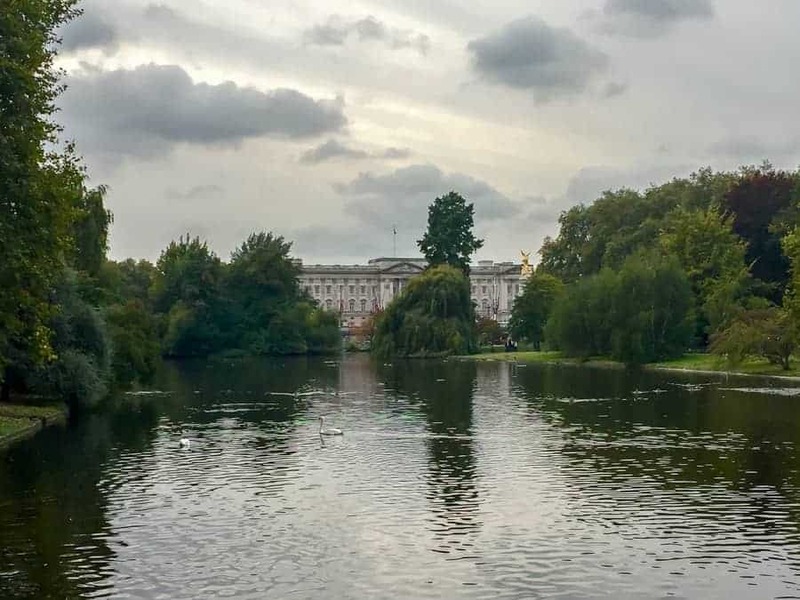 This piece on romantic things to do in London is a guest post from Kelly of A Pair of Passports. Compared to the likes of Paris and Florence, London is rarely considered a romantic city. However, with its incredible history and gorgeous architecture, it’s hard not to fall in love in London – and with London. Wine and dine in style (and with a view of Buckingham Palace) at London’s St. James Park. It’s a quieter park than most in the evening, and a lovely place to wander around before parking and picnicking. For a luxurious picnic, hampers can be purchased at Fortnum & Mason up the road. Alternatively, pop into any M&S or Waitrose and pick up a bunch of ready to eat goodies and a bottle of wine. Gordon’s Wine Bar is perhaps the coziest spot in London – if you can get a seat inside, that is! Get there early and stake out a spot, then sit and enjoy a bottle of wine by candlelight. As you sit there chatting, you can feel the rumble of the trains going by. If you’re feeling peckish, they offer a lovely selection of cheeses. PS: Make sure you’re well-dressed for your evening. This London packing list will help you prepare for your trip! There is nothing more wonderful than experiencing London’s sights at sunset. 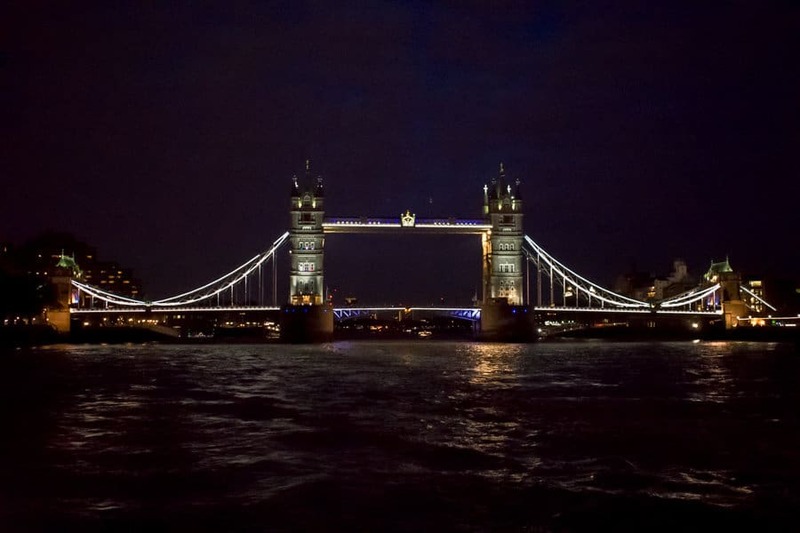 City Cruises offers a range of cruises down the Thames, including themed dinner cruises and show cruises. The routes vary, but almost all of them pass under Tower Bridge and float by Big Ben & the Houses of Parliament. Here is a Thames River cruise that runs from Westminster to Greenwich. 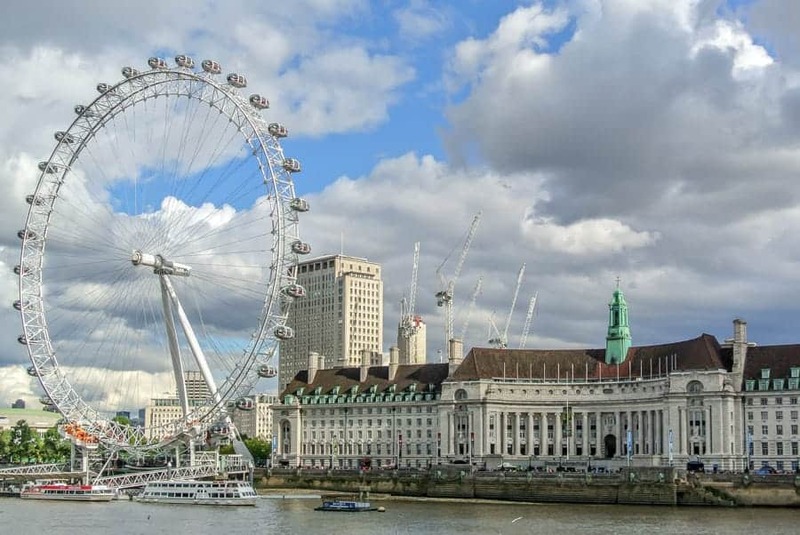 It’s a great way to get unobstructed views of some of London’s most popular sights. Plus, champagne on a boat at sunset (such as with this evening river cruise)? Sounds like a perfect romantic night in London! You can also enjoy spectacular sunset views from The Sky Garden. Head southwest towards Richmond and spend the day at the Royal Botanical Gardens and Kew. The beautiful landscape features 60,000+ plants, glasshouses, and even a treetop walkway. Learn about bees at The Hive, admire the stunning Palm House, and marvel at the Princess of Wales Conservatory, where you can transport yourselves throughout the world as you explore the ten different climatic zones. Each season looks completely different at Kew, so it’s worth a visit year round. At Christmas, the entire place is transformed into Christmas at Kew, which features innovative light displays, Christmas goodies, and an incredible light show timed to Christmas music. *Pro Tip: Buy The London Pass to get admission to Kew Gardens and 60 other attractions at one great low price. There are few things more romantic than wining and dining before taking in a performance at the Royal Opera House. The building itself holds so much beauty and history; add in an opera or an incredible ballet performance, and it’ll truly be a dream worthy night. Psst: Have only 2 days in London? Check out this itinerary that covers all the London essentials. London’s culinary scene is absolutely thriving, with new concept restaurants opening all the time featuring cuisines from all over the world. It seems like a new skyscraper is revealed in London each year, and every one offers some sort of bar or restaurant with stunning views. Head up to any of them for an evening drink and to watch the sunset. Or, for a great view of all of the skyscrapers, head to The Aviary. In the summer, London’s famous pub beer gardens flourish; in the winter, it’s the pubs that offer an open fireplace. Get to the pub early to snag a spot near the fire, then park yourselves there for a few hours. Many pubs have board games that you can borrow; otherwise, bring your own deck of cards and just enjoy a lazy afternoon together with a couple of pints. *Or, relax at a spa with one of these great London spa deals. Spend a day just wandering around hand in hand, finding your own favorite spots that you can return to every time you visit London. After all, there’s nothing more romantic than having a memory that is yours together. 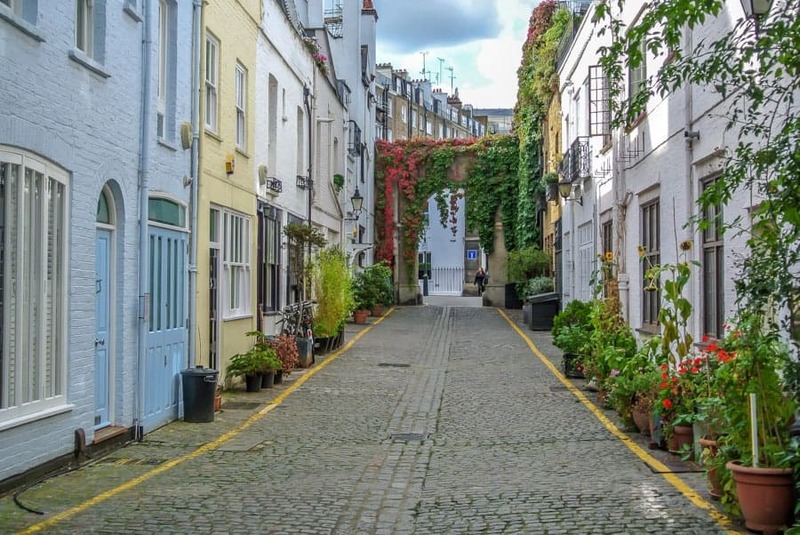 Some great neighborhoods to explore include South Kensington, Notting Hill, Hampstead, and Greenwich. The Sam Wanamaker Playhouse, an indoor theatre next to Shakespeare’s Globe, hosts performances year round. The performances are lit entirely by candlelight, with actors even carrying around candelabras while acting. It’s an incredibly romantic form of entertainment! Next door, the beautifully decorated Swan offers great pre & post-theatre dining options, as well as drinks. Is there anything more romantic than trying new things together? Spend an afternoon wandering around Borough Market, tasting every food you can imagine. Stalls offer everything from fresh fruit & veg to warm baked goods. There’s even an entire shop dedicated to olive oil! Finish off your visit with a street food lunch and a wander along South Bank. While the London Eye is usually classed as perhaps the most touristy things to do in London, there is nothing better than admiring one of London’s most iconic sights, Big Ben, with a glass of champagne in hand. Book one of the ‘special pods’ for your trip around the London Eye to enjoy a champagne or chocolate tasting during your journey. 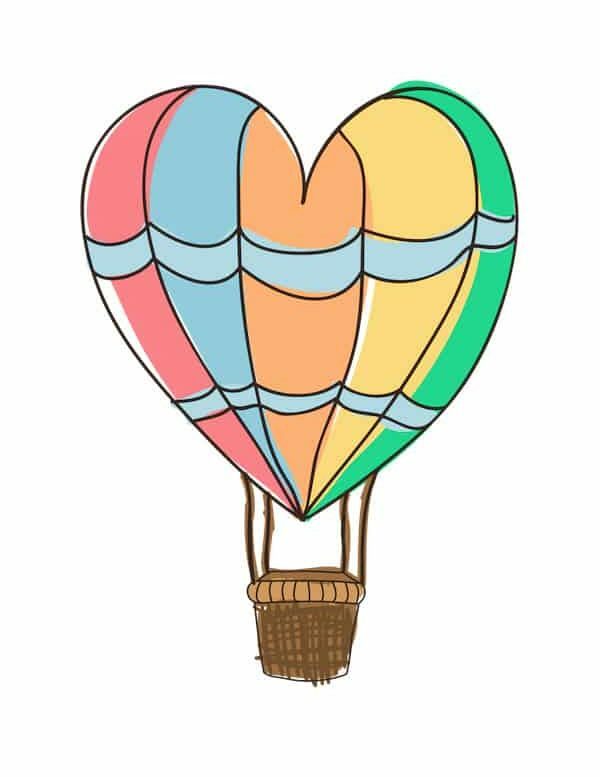 Alternatively, if you want to go above and beyond in the name of romance, a full pod can be booked for a private dinner. 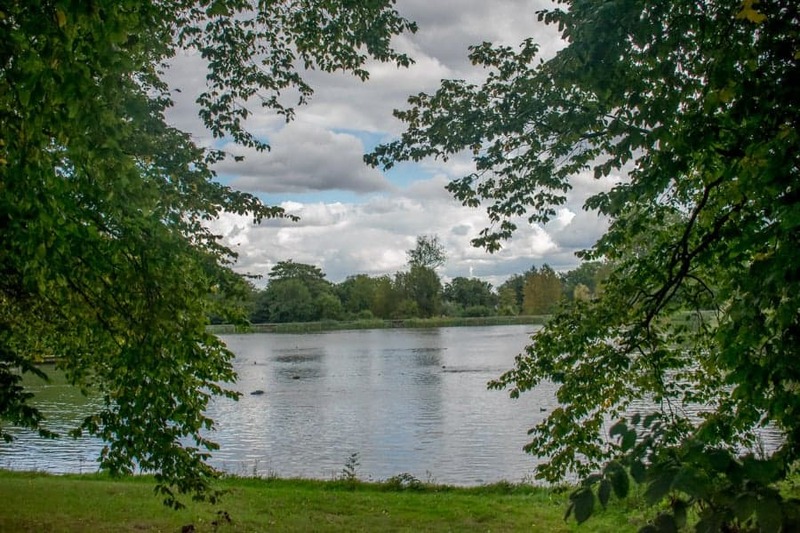 Despite its extremely central location, Hampstead Heath feels totally disconnected from the hustle and bustle of London. Go for a wander through the park with your loved one and you will immediately feel like you have been transported to the countryside. On the north side of the park, Kenwood House is a historic home featuring an impressive art collection. On the south side, it’s all about Parliament Hill, which offers stunning views over London. Eat breakfast in bed – with a view! 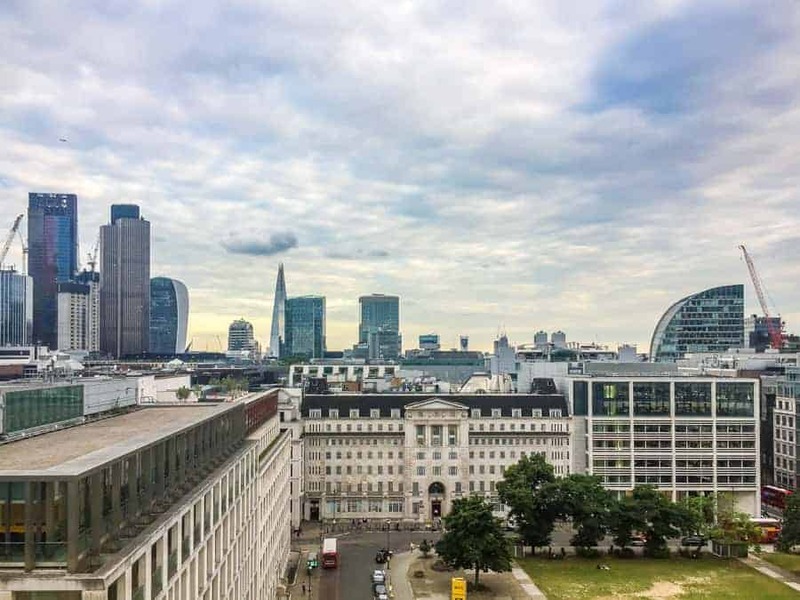 Many of London’s five star hotels offer five star views. Shangri-La at the Shard offers stunning views over St. Paul’s Cathedral, while Marriott County Hall faces Big Ben & the Houses of Parliament. Most of the hotels located along the famous Park Lane look out over Hyde Park. And, if you prefer the look of interiors to the exterior view, consider staying at the beautifully designed Artist Residence. Splurge on a room with a view and order breakfast to your bed; there’s nothing more romantic than a cozy morning in!